Sina Weibo, China’s cult Twitter alternative, broke its record for the average number of tweets per second during Chinese New Year last night, beating even Twitter’s own best. According to a report from Do News [Chinese], the microblogging service saw an average of 32,312 messages sent per second, as an astonishing 481,207 messages were sent during the first minute of the new year. What’s particularly impressive is that the figure is greater than the highest volume of messages ever recorded on Twitter — 25,088 per second — which was hit when Japanese users took to the service during a national broadcast of popular Anime series Castle in the Sky in December. The volume of messages sent this New Year is three times higher than the number recorded last year, which further outlines the phenomenal growth that the service, and its chief rival Tencent Weibo, have seen over the last twelve months. A recent report from the China Internet Network Information Center (CNNIC) found that the usage of Weibo services increased by 296 percent in 2011, with almost half (48.7 percent) of Chinese Internet users now signed up to use microblogs. Sina Weibo and Tencent Weibo have passed a combined 550 million users and, while Tencent has marginally more accounts (300 million members against Sina Weibo’s 250 million), the Sina service remains the more used service across the country. 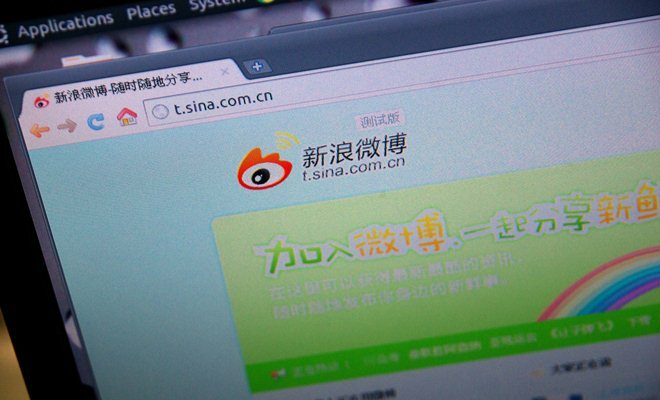 According to Do News, Sina is seeing close to 100 million active users per day. However, its future this year remains uncertain as the government presses ahead with plans to force users to verify their accounts with their identity. It remains to be seen if such a move will dampen enthusiasm and new signs-up rates, or whether China’s passion for expressing itself through microblogs will continue to grow.